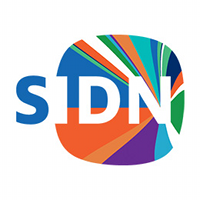 Profile: SIDN (Stichting Internet Domeinregistratie Nederland) is the registry of the Netherlands’ Top-level Domain (TLD) on the Internet, .nl. Our core task is to operate .nl’s name server infrastructure in the Domain Name System (DNS) in a secure and resilient way, which we accomplish through a mix of unicast and anycast services spread across dozens of domestic and international sites. Our six unicast name servers together handle around 850 million DNS queries a day coming from approximately 1.3 million resolvers. We also manage the registration database for .nl in a fault-tolerant way by synchronizing it across multiple sites. Our database contains 5.8 million domains and serves around 1,500 domestic and international registrars. 3 million .nl domain names have been secured with DNSSEC, which makes .nl the largest DNSSEC-enabled TLD worldwide in absolute numbers. SIDN Labs SIDN Labs is the research team of SIDN. Our goal is to thrust the operational security and resilience of the Internet through world-class measurement-based research and technology development, with a particular focus on the .nl TLD and SIDN’s services. Our research topics include DNS DDoS resilience management, abuse detection, IoT security, and Internet evolution. Our team consists of technical experts in areas such as large-scale DNS and Internet measurements, Internet protocols and systems, “big data” storage and analytics, IoT security systems, and privacy protection mechanisms. We help SIDN’s operational teams, write open source software, analyze vast amounts of data, run experiments, and write applied academic papers. We also actively contribute to Internet organizations such as the IETF/IRTF, RIPE, and ICANN. A large number of our projects are collaborations with universities and other research labs from around the world, such as the University of Twente, Delft University of Technology, and the University of California at San Diego. Our team is divers in terms of seniority and nationality and we work a lot with M.Sc. students who help us advancing our projects in specific areas. Expertise and Role in CONCORDIA: SIDN having considerable expertise in DNS security will participate in all WPs were such activities are required, focusing on DDoS threat management and countermeasures. SIDN will lead Task 3.2 where it will work on the DDos Clearing House pilot for Europe. In this task SIDN will used its solution that can protect the internet from insecure IoT devices in home networks. SIDN has also significant standardization activities and thus will contribute in the CONCORDIA Certification and stadardization actions.